That’s right, Hounds of God released in Audiobook – the day before Hounds of Light comes out! That’s so exciting 🙂 I hope you’ll join me in doing a dance. Or even better, check out the audiobook! You can hear a sample of it on Audio – Alicia Bade did an amazing job! Oh, and you can get it free with a trial, or grab it with an Audible credit. Help it succeed, and show Alicia you appreciate her awesome narration. 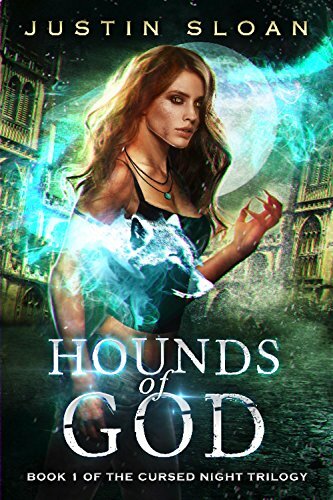 Torn from her parents at a young age, Katherine is raised in a pack of werewolves like herself and brought into the ways of the Hounds of God, an army of werewolves that will bring justice to evildoers. But when their leader is killed and everything Katherine has believed is thrown on its head, she sets off with a small group of friends in search of a cure to what she now believes is a curse. This search for a cure leads her to a fight for survival where she’s challenged to embrace the beast within. Will she give up everything to stop the nefarious army of werewolves, betraying those she once considered family? 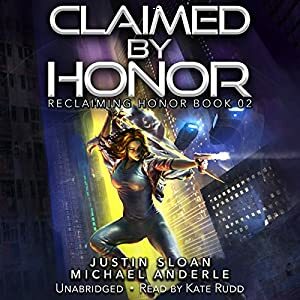 That’s right, Claimed by Honor, book 2 in the Reclaiming Honor series, has been released in Audiobook! Exciting! 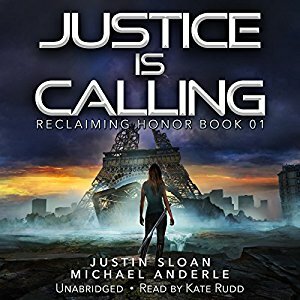 I know you’re as excited as I am to hear Kate Rudd perform this book, so stop reading this and get over to Audible to grab a copy! Free with a Trial, by the way. The New York City-State wakes up and their world has been shaken to its core. The Enforcers have been scattered, but they aren’t finished. This vampire is but a bump in their road to keeping the city-state in the hands of the CEOs. As noted in other series set in the Kurtherian Universe, there is cursing in this book, occasionally, it’s funny, too. Did you catch book 1 in Audio? Put simply, it’s an amazing program that lets you listen to Audiobooks WHILE tracking your progress in the ebook, or vice-versa, so you can pick up one, read, then switch, all without having to track where you left off. It’s also a program that lets you buy the Audiobook for $1.99 if you have bought the ebook, though I’m not sure if this works in every country. Let me know in the comments, please! There’s also this little tidbit that you might not know about: If you’re a Kindle Unlimited subscriber, you can listen to KU books with Audiobook as part of your subscription (all of mine are KU).